Sterling & Law Associates handle a wide variety of immigration cases for both individuals and businesses. They are registered with the Office of the Immigration Services Commissioner (OISC) at the highest level, allowing them to deal with most complex cases. Weekend appointments and emergency assistance available where needed. 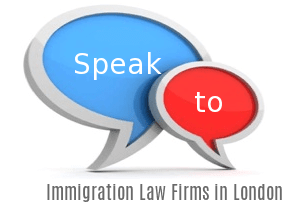 They handle: Legal Services, Immigration & Visas. TIL is an Italian law boutique with offices in the UK, Spain, Greece, Belgium, The Netherlands, Germany & France. Multilingual legal consultants offering tailored solutions to your legal issues in your own language. Free case assessment. They handle: Wills and Probate, Road Accidents, Power of Attorney, Personal Injury, Medical Negligence, Legal Services, Landlord/Tenant Dispute, Intellectual Property, Immigration & Visas, Holiday Sickness, Flight Delays, Family Law, Divorce, Debt Recovery, Criminal Law, Conveyancing, Consumer Rights Dispute, Business/Commercial Law, Business Dispute Resolution. MAC Solicitors (trading as Masud & Co) are specialists in UK Immigration and Family law across England and Wales. They promise a fast, friendly and reliable service that is both affordable and practical. They also cover employment rights, property purchases, landlord/tenancy disputes, and more. MAC Solicitors also have a blog covering UK and international legal topics. They handle: Motoring Offences, Legal Services, Landlord/Tenant Dispute, Immigration & Visas, Family Law, Employment Dispute, Divorce, Criminal Law, Business/Commercial Law. As a Legal 500 ranked law firm with offices in both the City and West End of London, Ronald Fletcher Baker LLP has a reputation for providing quality advice and exceptional client care having served London for over 50 years. The City office is easily accessible from Old Street or Liverpool Street stations and numerous bus routes. They handle: Wills and Probate, Unfair/Constructive Dismissal, Power of Attorney, Legal Services, Immigration & Visas, HMRC/Tax Law Help, Family Law, Employment Dispute, Divorce, Discrimination and Harassment, Charity Law. [snippet ...] The legal profession forms a major component of the northern and western sides of the City, especially in the Temple and Chancery Lane areas where the Inns of Court are located, of which two—Inner Temple and Middle Temple—fall within the City of London boundary. The Corporation is headed by the Lord Mayor of the City of London, an office separate from (and much older than) the Mayor of London. The insurance industry is focused around the eastern side of the City. [snippet ...] The top nations spoke to regarding landings were: China, India, Poland, United States, and Australia. It likewise made a qualification between nationality by drop and nationality other than by plummet. The British Nationality Act 1981, which was authorized in 1983, recognizes British resident or British Overseas Territories native. Natives by plummet can't consequently go on British nationality to a tyke conceived outside the United Kingdom or its Overseas Territories (however in a few circumstances the tyke can be enlisted as a native). Farhana Rahman-Cook is a member companion at Edwards LLP, whose East London workplace she joined as a newly certified solicitor in 2002. Firdus is accredited as a Senior Caseworker and Supervisor under the Law Society's Immigration & Asylum Accreditation Scheme. She labored for almost two years at the Immigration Advisory Service in Leeds.